GARDAÍ ARE APPEALING for the public’s assistance tracing the whereabouts of a teenage boy who is missing from Bray, Co Wicklow. 15-year-old Alan Clarke was last seen on Halloween night at Newcourt Road in Bray at 9pm. He is described as 5’7″ with dark brown hair, blue eyes and of slight build. When last seen he was wearing a grey tracksuit, navy jacket and black runners. Gardaí and are appealing to anyone who may have seen Alan or may have any information to contact them in Bray on 01 6665300, the Garda Confidential Line on 1800 666 111 or any garda station. Email “Appeal for help tracing Bray teen missing since Halloween night”. 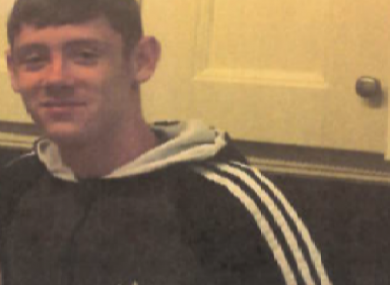 Feedback on “Appeal for help tracing Bray teen missing since Halloween night”.